A recent trip of mine took me all the way to sunny Amsterdam. Ever since I saw AMS on my roster, I knew I wanted to do something a little bit different. I’ve visited the gorgeous city quite a few times, including staying a few nights there when I backpacked around Europe with my best friend Lucy. This time, the windmills were calling! 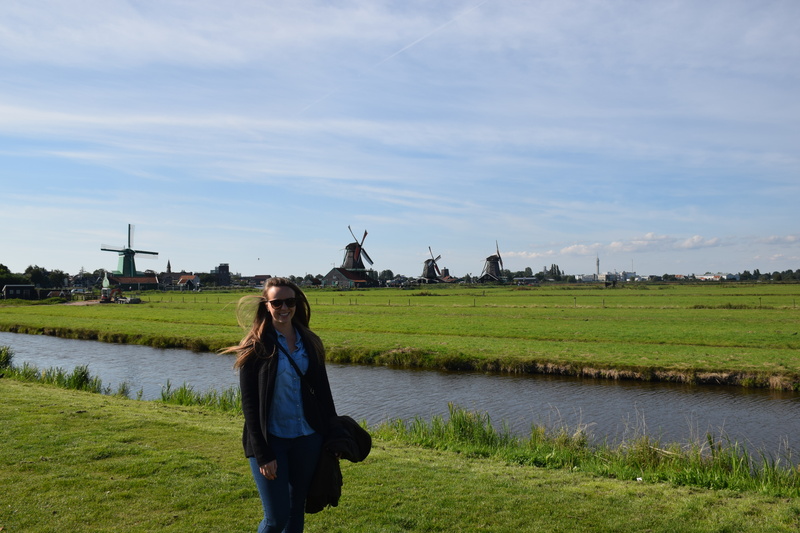 I’d wanted to visit the quaint village of Zaanse Schans the previous time I’d gone to Amsterdam but never got round to it, so was determined to make the most of it this time. After an early start and a busy flight, we arrived in Holland. Myself and 2 other girls from business class inquired with the concierge how best to get there, and decided on a train leaving in an hour. After a quick shower and a few whatsapp messages, we were on our way. Since our hotel is next to the airport, we had to take a train for around 20 minutes or so outside the city, then a few stops on a bus. 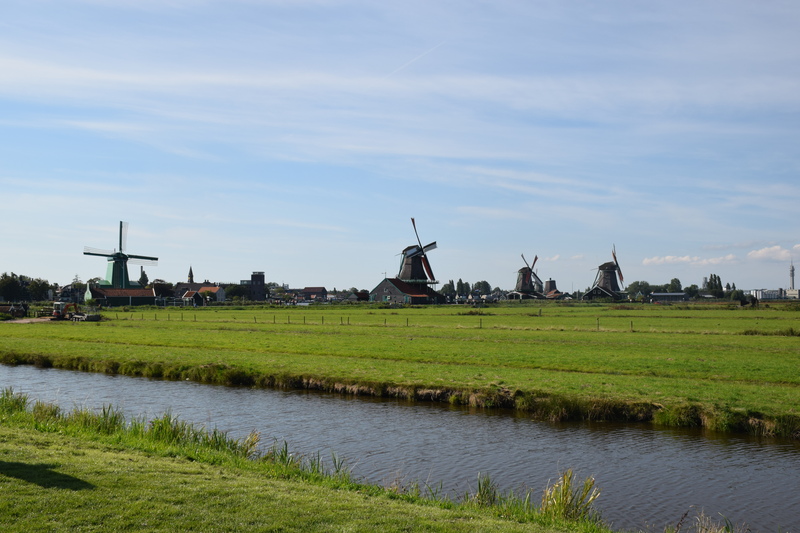 Before we knew it, we’d arrived in Zaanse Schans (along with bus-loads of Chinese tourists, haha!). The beautifully quaint little village, in Western Europe’s oldest industrial area, used to have more than 600 windmills running at the same time. Now 10 windmills continue to work, and are used for sawing wood and grinding oil, flour, spices and dyes. 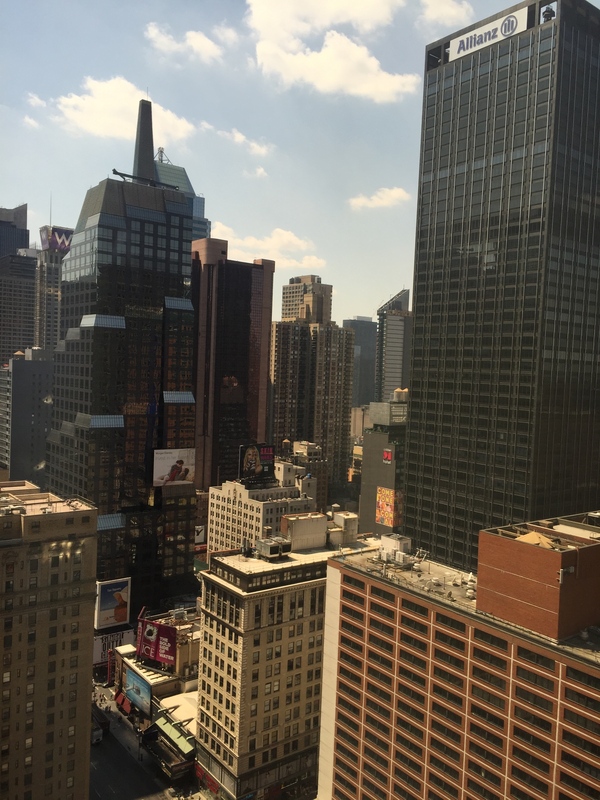 Let’s hear it for New York, New York, New York! I think you guys can guess where one of my most recent layovers was spent! I didn’t manage to swap my 24 hour layover in the Big Apple, so after a couple of hours sleep I was up at 1am ready to serve a full cabin of hungry passengers for the next 14 hours. Luckily, they were hungry but even more than that, they were sleepy! I guess the one good thing about a departure at 3 o’clock in the morning is that everybody wants one thing – sleep! The flight flew by with great crew, and so many laughs in the galley whilst everybody slept. 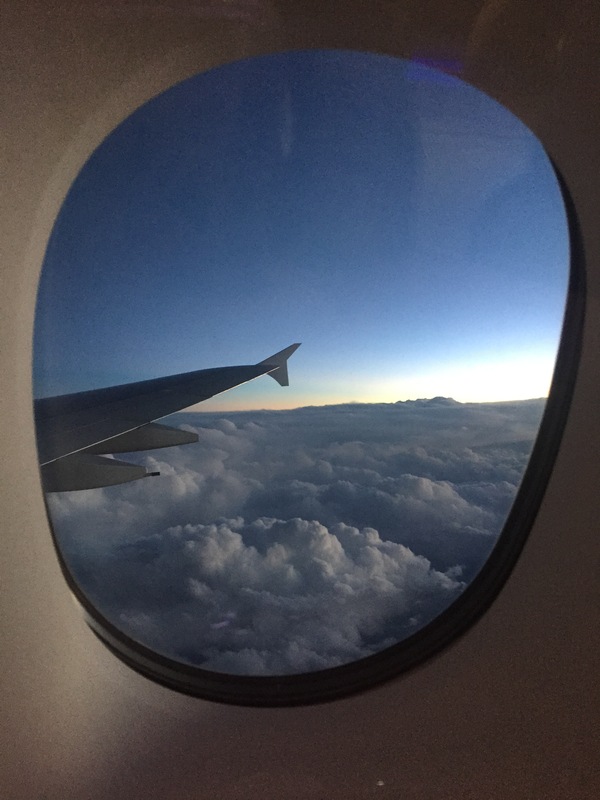 We’re lucky enough to fly over some beautiful places on our way around the world, and I always take time to appreciate the beautiful views out of the window. 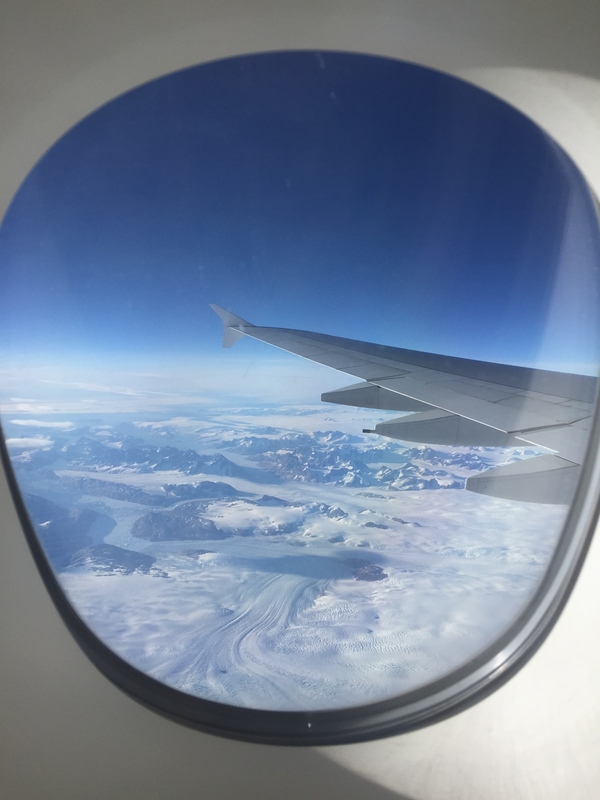 I even popped up to the cockpit to admire a bit more of Greenland and the gorgeous snowy peaks visible for a while. Just as the passengers were starting to wake up, it was time for my break! We have a little crew rest compartment (located in the cabin on the A380 behind a locked door!) which sleeps 9, plus a separate area for the flight deck with 2 bunk beds. They are a bit of a squeeze and I’m pretty sure some of the tall guys barely even manage to fit in the bunk beds, but once you’re in it’s hard not to fall into a deep sleep! After a short but sweet slumber, it was time to serve some breakfast, and then….land into the concrete jungle! Being Saturday morning, the city was so busy and it took us forever to get to the hotel. Half of the roads were closed due to some market or other so we drove around for what felt like hours before we finally reached the hotel. By this time it was already lunchtime, and although I’d already eaten on the plane, I was suddenly absolute starving!